Artificial Hair Color: What Chemicals Are You Using? Having your hair color changed at the salon is a common practice, and with the right stylists, your hair can be kept beautiful and healthy. However, some of the chemicals in modern dyes can be harmful to your hair and your body. The chemicals found in hair dye and treatments can weaken your hair and cause it to degenerate over time. 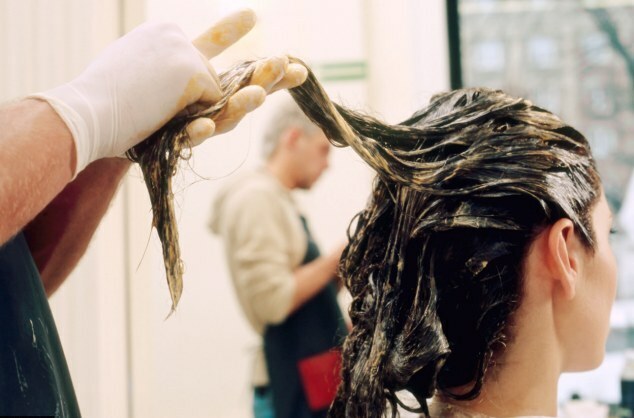 Hair that has been exposed to chemicals excessively, is considered to be over-processed. Over-processed hair feels dry and rough because the harsh chemicals have removed natural elements that are found within each strand of hair. When your hair is damaged, strands are more likely to break, leaving your hair uneven and looking unhealthy. Not only do the chemicals affect the quality of your hair, they can also affect your health. Some of the more potent chemicals found in hair dye are phenylenediamine, coal tar, lead acetate, DMDM hydantoin, ammonia and resorcinol. Phenylenediamine is a potential carcinogen which can also trigger allergic reactions where the skin will become irritated and burn. Coal tar is a synthetic coloring agent which has also been found to be a possible carcinogen. Lead acetate is a toxic lead compound that is usually the principal active ingredient in hair dyes. Lead acetate is so serious that many European countries have banned it. DMDM hydantoin is a preservative that is commonly found in hair dye, and it has been linked to problems in the immune system. Ammonia, although common, is a toxic and corrosive substance and has been found to cause respiratory problems. Resorcinol is another ingredient in hair dyes that has been labelled a possible carcinogen. Even though studies have not conclusively linked using hair dye to a higher risk of cancer, all of the carcinogens found in dyes are a good reason not to continually subject yourself to them. However, modern salons have much more healthy alternatives to dying your hair. Make sure to ask your stylist about the hair dying process and discuss the safety and health concerns associated with it. You can also come by Benoté Salon and ask us to help you with all of your haircare needs. This entry was posted on Thursday, August 21st, 2014 at 2:00 pm	and tagged with beauty blog, benoté salon, benote, grow your hair, hair, hair blog, hair care, hair color, hair color chart, hair growth, hair health, hair loss, hair product, hair products, hair regrowth, hair salon, hair science, haircare, haircare product, Louisiana, louisiana salon, paul mitchell, paul mitchell hair, paul mitchell hair color, Paul Mitchell haircare, salon blog, salon jobs, Shreveport, shreveport hair salon, shreveport salon, stop hair loss, the science of hair and posted in hair, hair care, hair color, hair products, hair style. You can follow any responses to this entry through the RSS 2.0 feed.